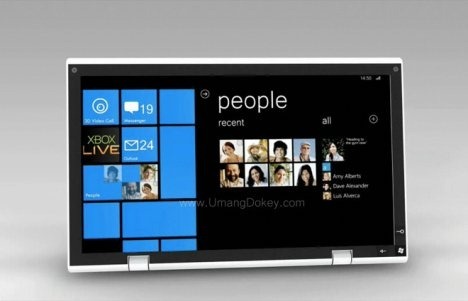 Apitzhnu | Tech | Phone | Gadget | Autos | En Hub41: New Windows Phone 7.5 Mango Will Have More Than 500 Features? You are here: Home » Acer, Dell, HTC, Phone, Samsung, Tech, Windows Phone » New Windows Phone 7.5 Mango Will Have More Than 500 Features? New Windows Phone 7.5 Mango Will Have More Than 500 Features? Would It Be More Better Than iOS or Android Soon? Tomorrow is the day that Windows Phone 7.5 Mango will be announce and it's going to get new features which is should be over than 500 new features. It said by Steve Ballmer from Microsoft itself at Japanese Microsoft Developer Forum 2011. - Multi-tasking for third-party apps. - Office 365 and SkyDrive support. - Internet Explorer 9 Mobile. - More than 1500 new Application Program Interfaces. Also there might be 9 New Windows Phone line up will be announce tomorrow which is the day that they'll announce WP 7.5 Mango. So stay tune with us for more update about the WP7.5 Mango.